The fabulous neighborhood of Fairmount is known for its proximity to the parkways' world-renowned cultural institutions, easy access to the Schuylkill River Trail, all the recreation Fairmount Park has to offer and the lively shopping and restaurant scene along Fairmount Avenue. True identifiers of the neighborhood are old world architecture framed by mature trees. 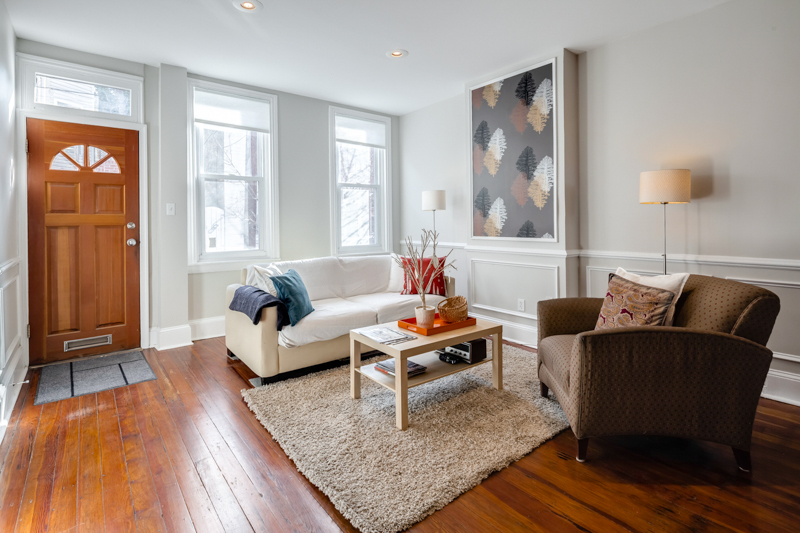 834 N Bucknell St. is a prime example of your quintessential Fairmount home. Rarely offered, this coveted classic home has been recently refreshed from top to bottom. Be welcomed home by your handsome brick façade with freshly reworked brownstone, new capping and freshly painted door. Our first floor offers a modern open floor plan with original hardwood floors and oversized windows bathing the living area in natural light. Pass the formal dining room into a fabulous stainless and stone kitchen with full-size appliances and an ergonomic layout. The kitchen opens out to the wonderful patio offering private outdoor space perfect for entertaining, grilling and dining alfresco. Consider this area your indoor-outdoor living space. Downstairs find a freshly parged basement with laundry facilities. Upstairs find 2 cheerful bedrooms. A cottage chic hall bathroom will make you feel right at home with its beadboard wainscot and extra storage. The roof has been recently redone and coated by local and reputable Loonstyn roofing. There's a newer hot water heater, gas powered radiant heat and forced central air. The best of both worlds! Because the homes on this block are wider than typical there is less competition for parking. This location is further enhanced by the presence revered Bach-Martin school nearby. This distinct and elegant home nestled in a rich historical context has it all and is bound to suit your vibrant Philadelphia lifestyle.